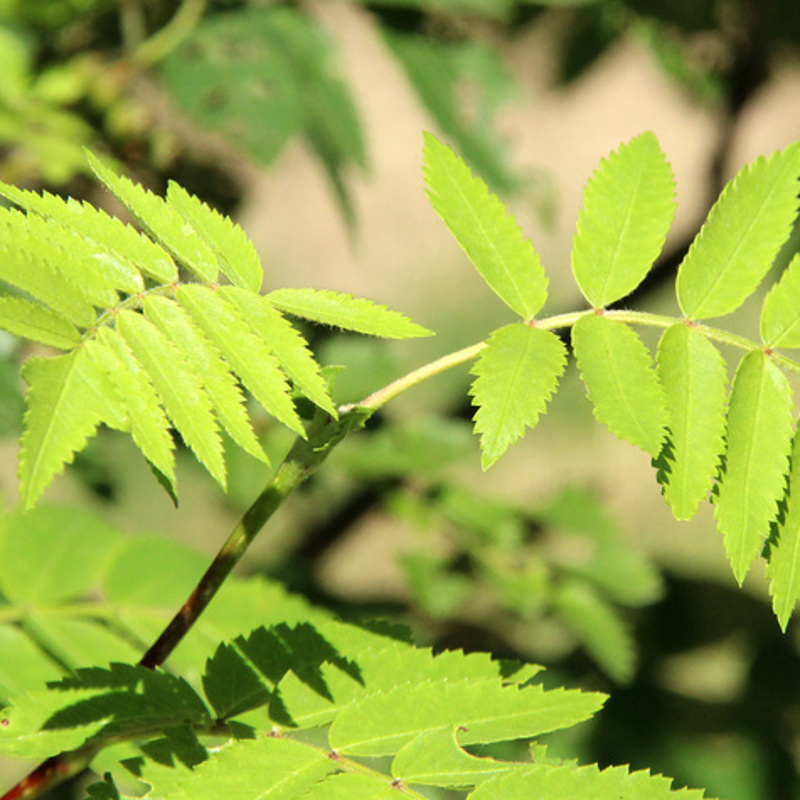 Buy Mountain Ash Tree or Rowan Tree (Sorbus aucuparia) online from UK tree supplier of cell grown broadleaf hedges and shrubs. A native, British tree, the Rowan tree or Mountain Ash Tree (Sorbus aucuparia) is a commonly planted small to medium sized tree. 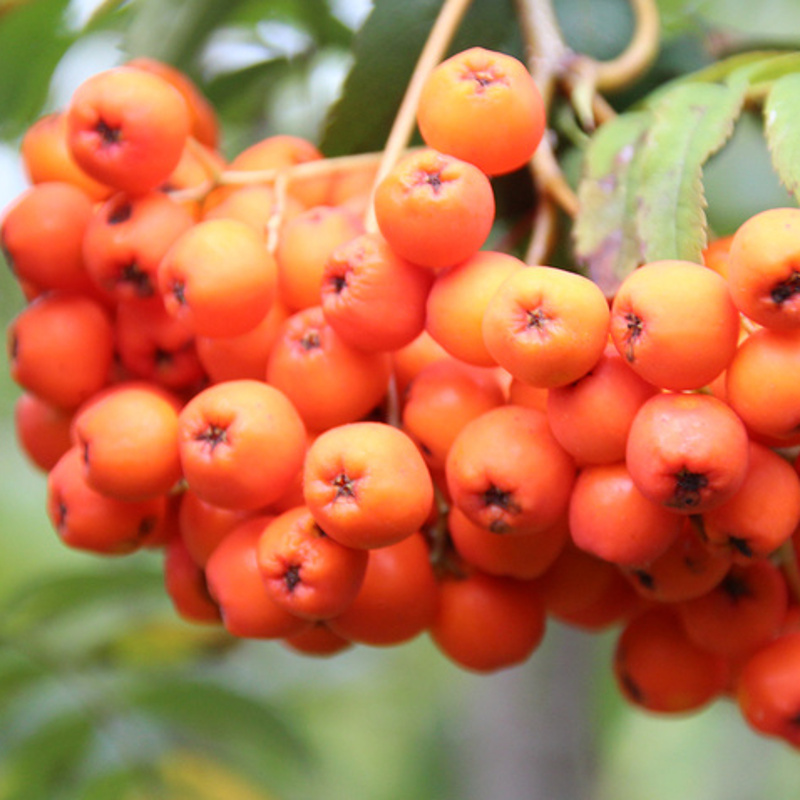 Distinguished by its spectacularly coloured clusters of berries, which change from yellow to orange to the bright red of autumn, Mountain Ash is renowned for its sheer hardiness, coping with soil types, ranging from dry to damp. This tree has been found growing in pockets of soil on Scottish mountain sides. Conversely, it will provide a focus of attention in a smallish garden. Particularly attractive as a source of food for birds. The Mountain Ash or Rowan tree is considered to be a magical guardian against black witches, enchantment and other sinister forces and commonly have been a feature of churchyards to keep watch over the spirits of the deceased. Believe that if you will and we think each house should have one! Expect a final height of 20m (67ft). 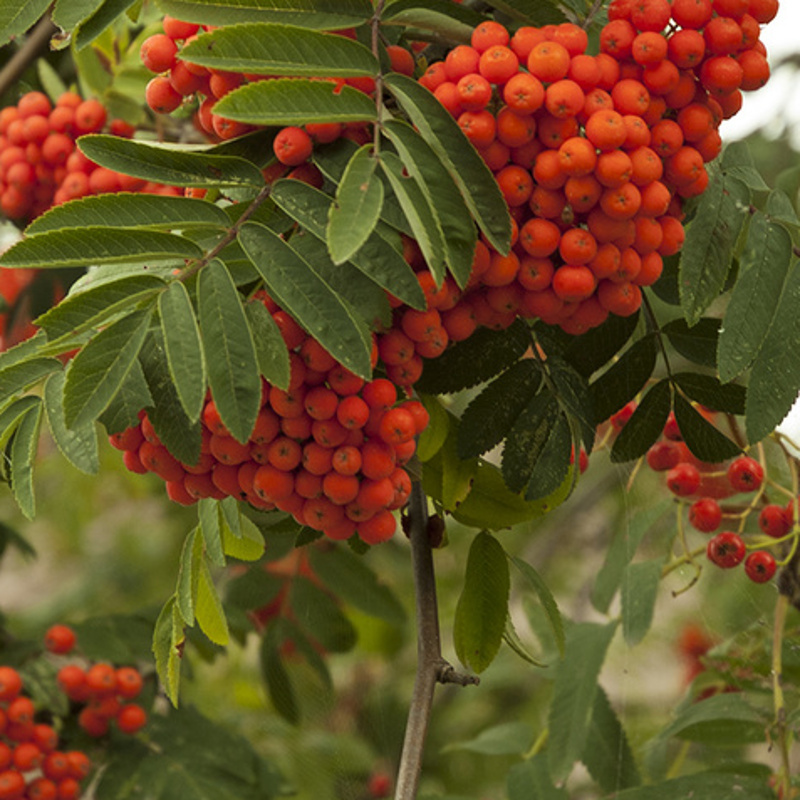 Typically, Mountain Ash or Rowan is planted in groups of between 10 and 25 trees. This number of trees is ideal for creating a wildlife habitat and a meaningful source of food and shelter. Spacing may vary between 1m (3ft 4in) and 5m (16ft 8in). Blending of one species into another is suggested although bearing in mind different growth rates. The aim is to mimic what nature intended and thus avoid artificial lines. This tree is a major native, British tree and as a result included in a range of new native woodland.